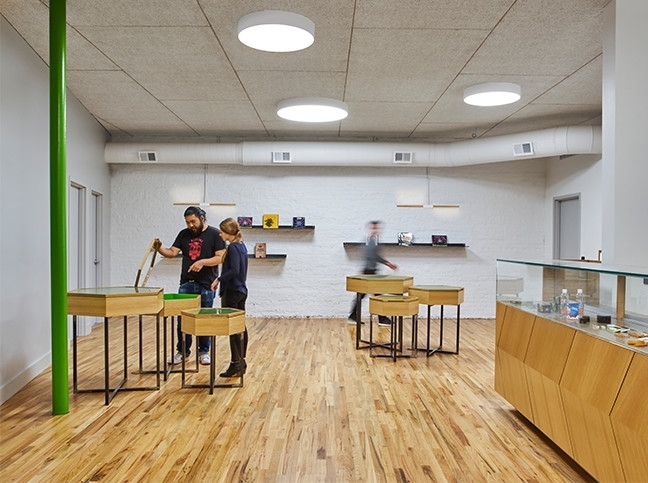 Chicago’s first medical marijuana dispensary opened this fall in Andersonville. The client’s main objective was to design a space that redefined the typical medical office environment from cold and sterile to warm and inviting. 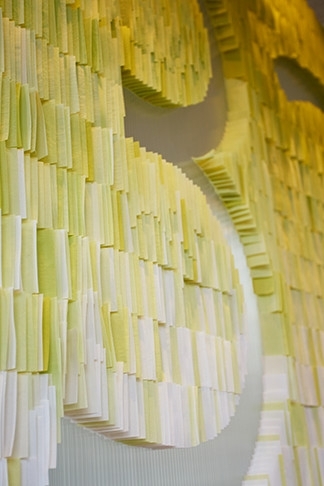 Perimeter Architects worked alongside artist Linsey Rosen and Make & Co. to craft a space that was both bright and sophisticated yet sensitive to the privacy needs of the clientele and the security needs of the operator. Seemingly minimal upon entry, the space gradually reveals its depth of texture and attention to detail. 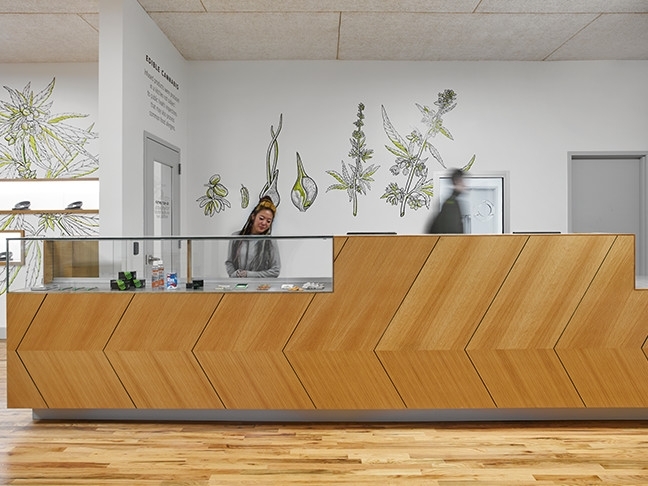 An elegant palette of rift-cut white oak transaction counters, hand drawn marijuana illustrations, blackened steel shelves and custom fabric wall installation conveys that this is a unique healing experience.